The Beijing Convention, replacing the Convention on the Suppression of Unlawful Acts Relating to International Civil Aviation 1971 (known as the “Montreal Convention”), and the Beijing Protocol, amending the Convention for the Suppression of Unlawful Seizure of Aircraft 1970 (known as the “Hague Convention”) are new instruments which update the existing conventions in light of the September 11, 2001 terrorist attacks and developments in counter-terrorism law over recent decades. 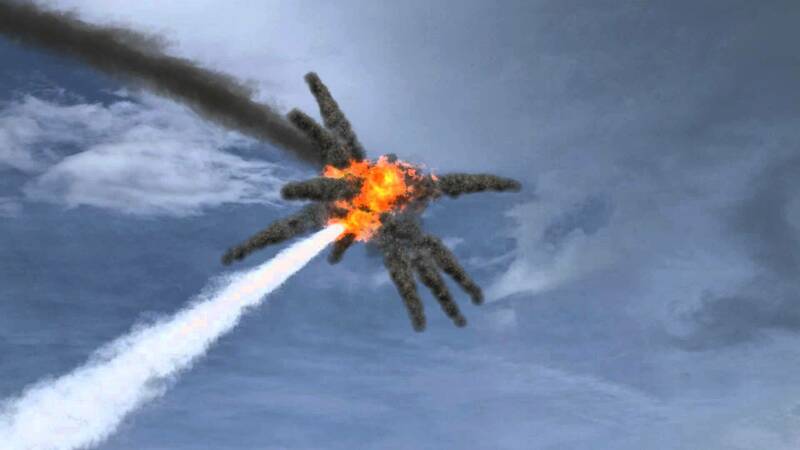 The Beijing Convention provides for key new offenses of using an aircraft as a weapon (such as occurred on September 11), using weapons of mass destruction or dangerous substances against, on, or from an aircraft, and transporting dangerous materials. The instruments also provide for new ancillary offenses, expanded jurisdiction, and strengthened extradition and mutual assistance regimes. These developments aim to ensure that a wider range of perpetrators can be brought to justice in aviation-related terrorist or proliferation activities than is currently possible. The instruments are part of a series of UN conventions aimed at combating international terrorism. The proposals before the Diplomatic Conference were developed through a review of the Montreal and Hague Conventions in a series of ICAO meetings commencing in 2007 and involving key states. It concluded that the existing international regime did not cover notable aspects of these attacks – for instance, the use of an aircraft to cause death and destruction; other types of foreseeable terrorist acts, such as the use of weapons of mass destruction onboard, from, or against aircraft; and ancillary offenses, such as organizing or conspiring to commit such offenses. The Beijing Convention includes several new principal offenses. The first criminalizes the use of a civil aircraft to cause death, serious bodily injury, or serious damage to property or the environment. Using an aircraft as a weapon is now a specific offense. 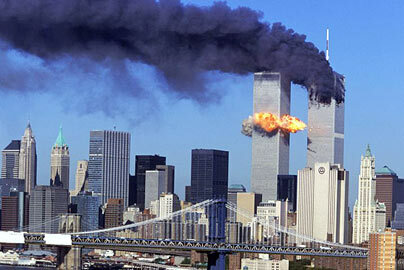 This would cover such conduct as flying an aircraft into a building as occurred in the September 11 attacks. The second new offense criminalizes the releasing or discharging from a civil aircraft any biological, chemical or nuclear (« BCN ») weapon or explosive, radioactive or similar substances in a manner that is likely to cause death, serious bodily injury, or serious damage to property or the environment. The third new offense is similar to the second, but specifically criminalizes the use of the same dangerous items against or on board a civil aircraft: the target is the actual aircraft and the persons on board, rather than anything outside the aircraft. This is a situation that has occurred with some frequency over the recent years. A major development is the inclusion of a provision criminalizing the transport of dangerous materials – such as explosive or radioactive material, a BCN weapon, or source or special fissionable material – if proof is shown of specific mental elements in relation to the transport of each type of dangerous material. For instance, the provision makes an individual liable under this offense if the person transported the explosive or radioactive materials knowing they will be used for a terrorist purpose, or if the person transported source or special fissionable material knowing that they will be used in a nuclear explosive activity. These requirements restrict the scope of the offenses to cover only transport connected with illicit proliferation or terrorism. The changes also preserve the rights of states parties to the Non-proliferation Treaty, ensuring that state officials are not prosecuted for transporting nuclear materials as permitted by the Non-proliferation Treaty. For those not party to the NPT, the offense will apply, except that transport of source or special fissionable material is permitted if done pursuant to a “safeguards agreement” concluded with the International Atomic Energy Agency. This includes comprehensive, as well as voluntary or facility-specific, safeguards agreements. The rationale for the transport offense is to deter and punish movement of materials of proliferation around the world by air into the hands of state or non-state actors in circumstances that would pose a threat to international peace and security. The offense parallels a similar transport offense contained in the 2005 Protocol to the Convention for the Suppression of Unlawful Acts. Accordingly, transportation of these materials by sea or air is now an international criminal offense subject to the extradition or prosecution requirements of the Convention. The Beijing Convention and Protocol include several new ancillary and inchoate offenses. They provide that it is an offense to directly or indirectly threaten to commit one or more of the principal offenses, or to organize or direct the commission of an offense. These provisions are meant to harmonize recent UN counter-terrorism conventions. In addition, the instruments include a “fugitives offense” which criminalizes any assistance to persons evading investigation, prosecution, or punishment, knowing that he or she has committed one of the offenses or is wanted for prosecution or to serve a sentence. This crime is akin to an “accessory after the fact” offense known to many common law jurisdictions and will help restrict the movement of those seeking to flee states where they may face prosecution. The instruments also incorporate a “conspiracy” or “association de malfaiteurs” offense which criminalizes the planning of an offense in conjunction with others – reflecting both the common law and civil law traditions. This is the first time a UN counter-terrorism convention has included such a provision. It is designed to allow enforcement officers to apprehend and prosecute offenders before terrorist attacks can be carried out. Both the Beijing Convention and Protocol include nationality of the offender as a mandatory ground for jurisdiction for states parties. This will help to expand the extra-territorial scope of the instruments and ensure that a greater number of states parties will have jurisdiction to prosecute or extradite known offenders. The instruments also include optional jurisdiction on the basis of nationality of the victims of offenses. The Beijing Convention and Protocol exclude from their scope the activities of armed forces during an armed conflict. This provision was the most controversial aspect of the negotiations. Essentially, it means that members of armed forces cannot be prosecuted if they undertake an act that would amount to an offense under the instruments. For example, the use of a bomb against a civil airliner by military forces during an armed conflict could not be prosecuted under the Beijing Convention. However, if this conduct amounted to a violation of IHL (because it was not a legitimate military objective), then it could be prosecuted under that body of law. The instruments include new provisions aimed at supporting extradition and mutual legal assistance obligations. In particular, none of the offenses can be considered a “political offense” in order to avoid these obligations. However, no state may be compelled to extradite a person or provide mutual legal assistance if there are substantial grounds to believe that it would lead to prosecution on discriminatory grounds. The Beijing Convention and Protocol will enter into force two months after the 22nd ratification. The adoption of the Beijing Convention and Protocol is a significant development in international counter-terrorism and aviation law. The new principal offenses combined with the ancillary offenses, expanded jurisdiction, and strengthened extradition and mutual assistance regimes will help to ensure that a range of individuals can be brought to justice for their role in terrorist or proliferation activities—including those who participate before, during, and after such acts. If the instruments are widely accepted, they can help prevent a repetition of the September 11 attacks. 1. These instruments are available at www.icao.int/DCAS2010. 2. Diplomatic Conference on Aviation Security, Aug. 30-Sept. 10, 2010, Final Act of the International Conference on Air Law (Sept. 10, 2010), available at http://www.icao.int/DCAS2010/restr/docs/beijing_final_act_multi.pdf.